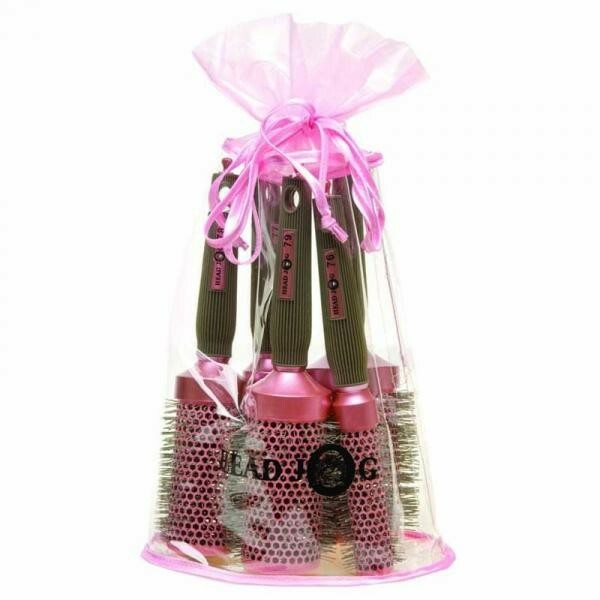 A favourite in professional salons, HeadJog hair brushes are some of the most popular brushes that you can buy. They guarantee great results when creating any hair style and are so kind to your hair that you will see the difference straight away. These chic pink radial hair brushes from HeadJog feature a ceramic coating which elimates frizz and flyaway hairs and retains styling heat. The radial barrel design means that the hairdryers heat is stored in the brush which speeds up styling and leavesyour hair smooth and shiny. There are five different sizes for everyday use and these fabulous brushes come with a handy storage pouch so you always have your favourite hairbrushes to hand!